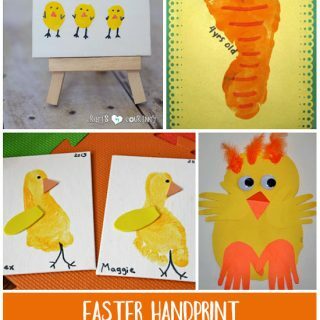 It’s no secret that we love to make handprint fish…. tee, hee! 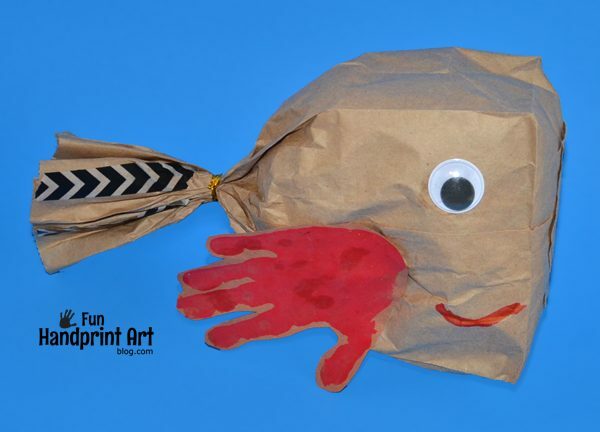 Here is a new way to make them as a paper bag craft that the kids can have fun playing with. My kids love pretend play and often make pretend water (oceans, Wipeout Zones, and beaches). 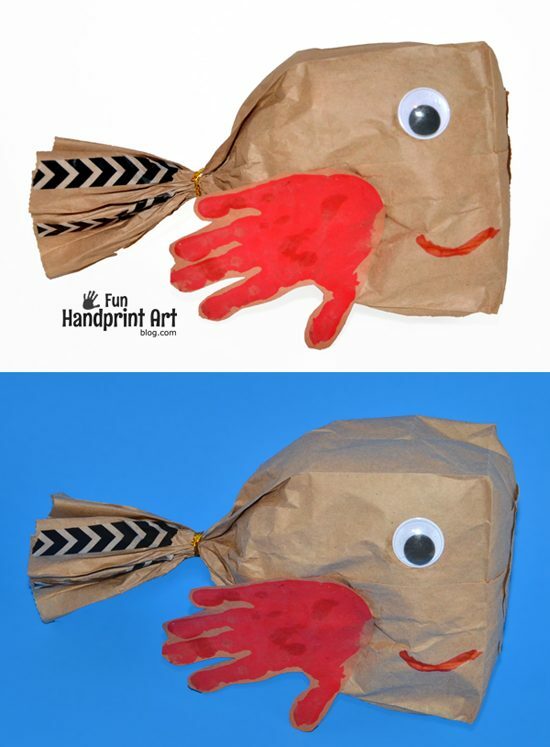 This simple fish craft gives them something to add to their underwater adventures. Be sure to check out even more game suggestions at the end! 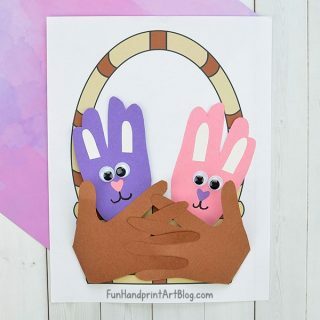 Make 2 handprints on construction paper or cardstock. Let dry and then cut around it. 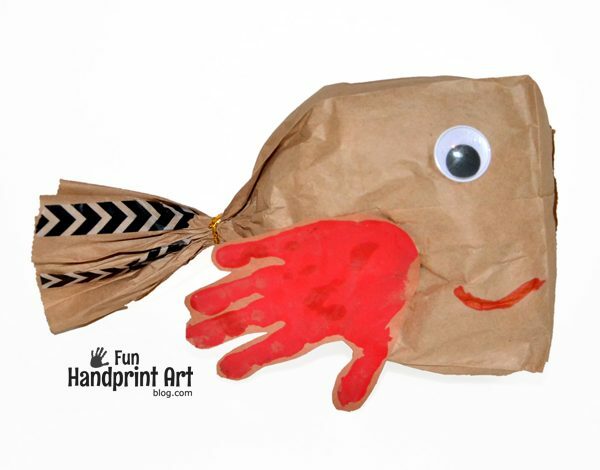 Take a paper lunch bag and decorate it if you’d like. You could also use a colored paper gift bag. Stuff crumpled newspaper inside it and tie it shut. We added washi tape to the tail. Glue on a jumbo googly eye and the handprint. Draw on a mouth. Repeat with the opposite side of the paper bag. Play ‘catch the fish’ with 2 or more players. If it drops than that person is out. Or play ‘musical fish’ and have person be in charge of the music. The rest of the players can toss the fish to each other and when the music stops, the person holding the fish is out. Another simple play idea would be to play ‘find the fish’ which is simply having one player hide the fish and the others have to find it. 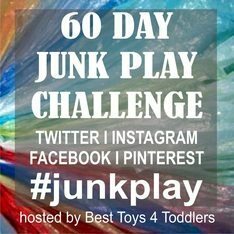 This post is part of an awesome 60 Day Junk Play Challenge series with other kid bloggers. Head over to Best Toys for Toddlers to see what junk play everyone has been creating! So cute! Love this fish idea! Thank you for taking part in 60 Day Junk Play Challenge, Amanda!